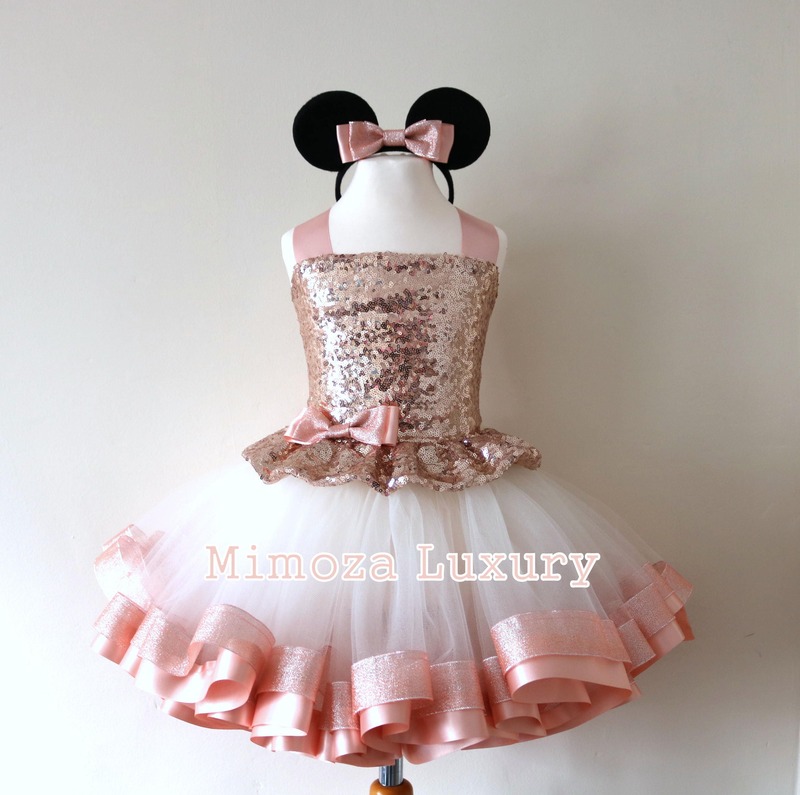 The ultra fluffy fully sewn tulle skirt is made of yards and yards soft tulle, edged with yards of beautiful rose gold ribbons and elasticated on top for maximum comfort. 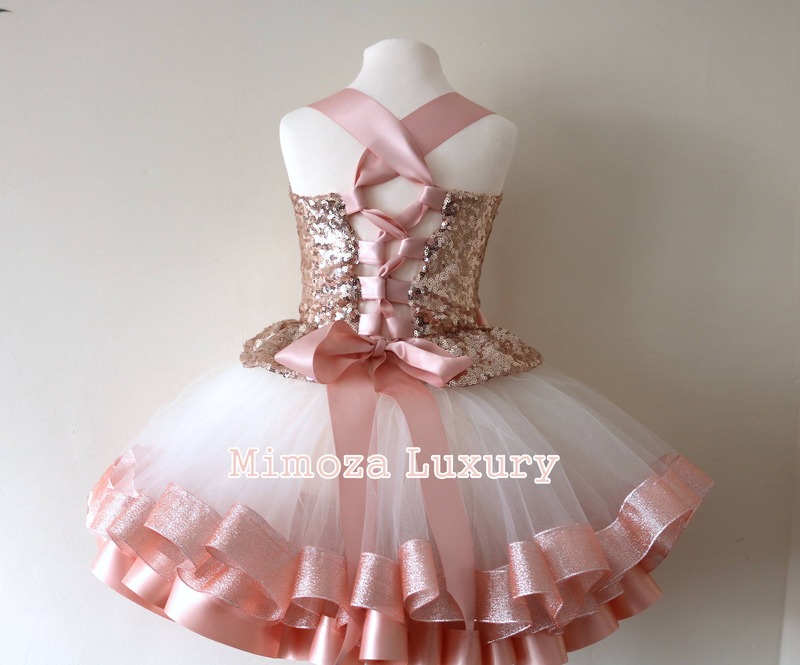 What a beautiful stunning dress! 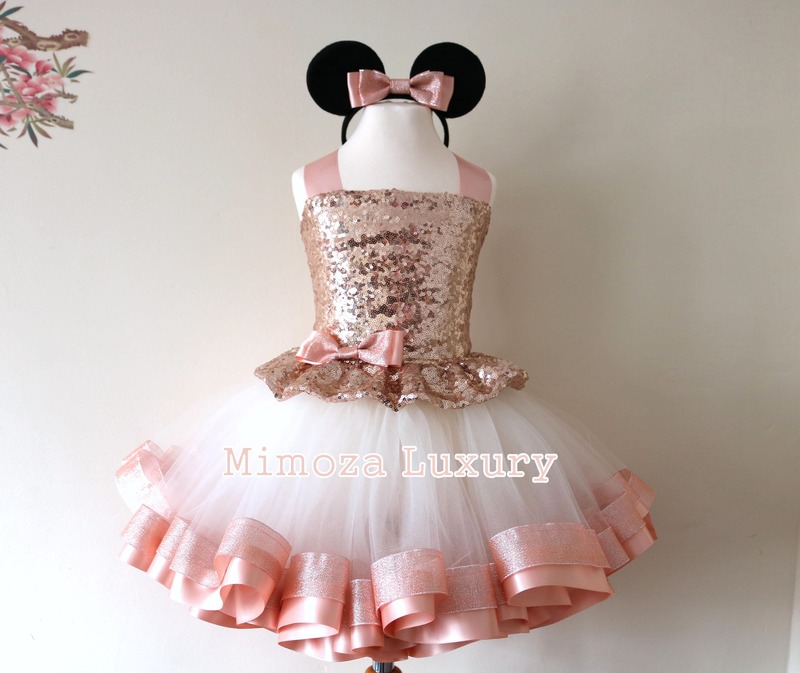 This was made with so much love and perfection. 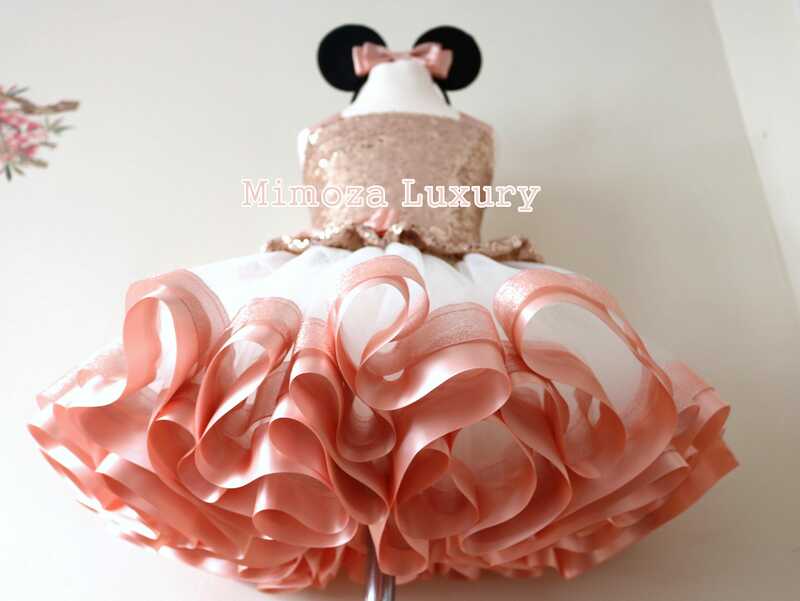 I received so many compliments for this dress and my daughter looked even more beautiful and made this a perfect dress for her 1st birthday. 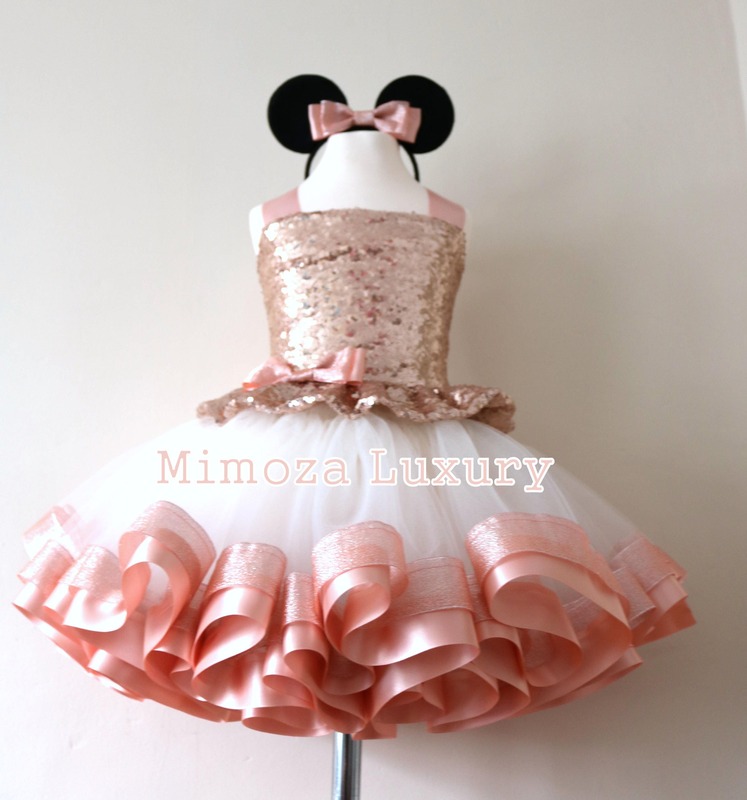 Thank you MimozaLuxary for making my daughters 1st birthday dress. It was absolutely beautiful.